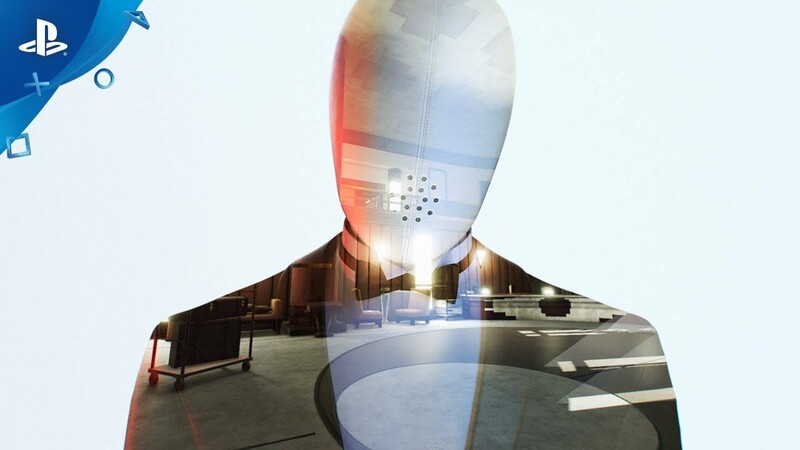 Solve the mysteries of The Penrose hotel in the debut game from YGD BAFTA winner Dan Smith. Hey everyone, I’m Dan Smith – representing 100% of Dan Smith Studios. I’m a British developer based in Newcastle and today, in collaboration with my publisher Ripstone, I’m delighted to be announcing my first game: The Spectrum Retreat. The Spectrum Retreat is a narrative-driven first person puzzle game coming to PS4 this summer. You wake alone in the Penrose Hotel, with no memory of your past or identity. Only mannequin-like staff are present and their reasoning for wanting to keep you inside the hotel is unclear. The game challenges you to transfer colours, teleport and manipulate gravity to gain a clearer understanding of your current situation, but it soon becomes apparent that not all is as it seems. Check out the reveal trailer above for an insight into the unsettling world we have created. I first began developing a puzzle game prototype in late 2013, at the age of 15. Bored one day, I downloaded the Unity engine and created my first project ‘Spectrum’. I thought I was just going to create something simple, a puzzle game that invited you to look at any object and swap colours around. Swapping colours was fun, but I soon found that you can’t design puzzles with zero constraints. 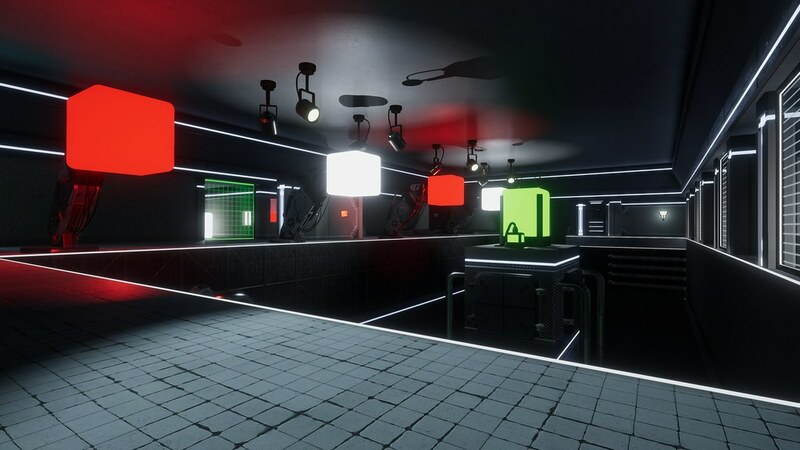 The solution was to limit colour swapping to particular cubes and design levels around those, in turn creating the core mechanic of what is now ‘The Spectrum Retreat’. One of the developers I was fortunate enough to meet during the creation of this prototype was Dan Pearce, who told me about the BAFTA Young Game Designers competition. By the time I submitted the game to BAFTA at age 18, I had a polished 20-minute prototype over three years in the making. ‘Spectrum’ was nominated and won the BAFTA YGD Game Making Award in 2016. Later that year, I signed a publishing deal with Ripstone. With additional support from them and their internal development team, The Spectrum Retreat has come on leaps and bounds. Over the last year we’ve been able to push the gameplay, art and narrative far further than I could have achieved on my own. 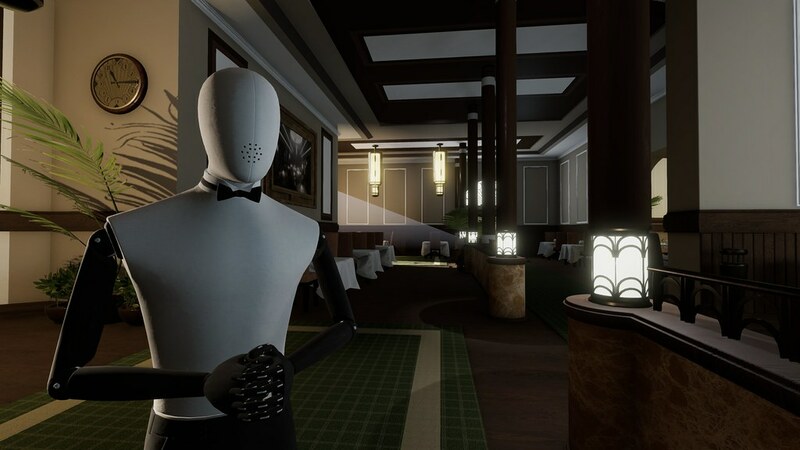 Every aspect of the hotel has been meticulously crafted to create a captivating environment to explore, and you can get an idea of the detail involved in the screenshots released today. I’m really excited by how much the game has progressed and what we have been able to accomplish. The game has an intense narrative focus, with a unique vibe and soundtrack. We’ve structured the narrative and puzzles in a different way to other games in the genre and I can’t wait for you to experience it for yourself. The Spectrum Retreat is due for release later this year and I’m looking forward to sharing more details in the coming months. Seems nice. Something new. Can’t wait. Thanks! Thanks for your support, I’m really excited to share more details in the coming months! Very good and unique idea. One man created all game?! This has a vibe similar to a mixture of The Talos Principle and Startship Titanic. I’ll be interested in seeing more of this. Would be nice if it had a VR mode included. That should read “Starship Titanic” not StarTship. Ooooh, nice! My interest is piqued. In general I don’t like puzzle games, but the atmosphere, art direction, and promise of an interesting narrative are enough to pull me into this one. I’ll definitely be keeping an eye on this one for a release date and pricing! The story is told in a way that is unusual for the puzzle genre so creates a really unique experience. I’ll be back to share more details before Summer, thanks for your support! Man, you’re releasing this game and you’re like 20 years old? The only thing I did with myself by age 20 was…not be 19 anymore. :D Congratulations! Haha thank you! It’s been a long time in the works so it feels surreal to finally be sharing the game with the world. Will this be digital only, or a physical release?